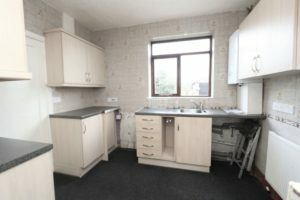 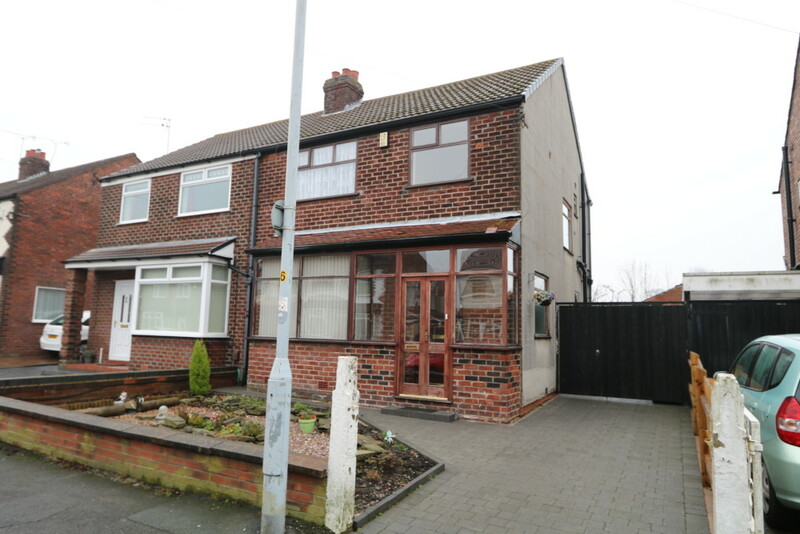 Good Sized 3 Bed Semi requiring some modernisation, the property has Gas Central Heating, Double Glazing, a Good Sized Rear Garden, Off Road Parking and a Detached Garage. 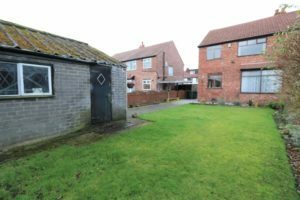 The accommodation comprises, Porch, Large Hallway, Lounge, Dining Room, Kitchen, 3 Good sized Bedrooms and a Separate Bathroom and WC. 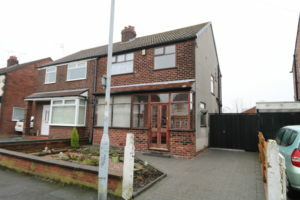 Offered for sale with No Chain. 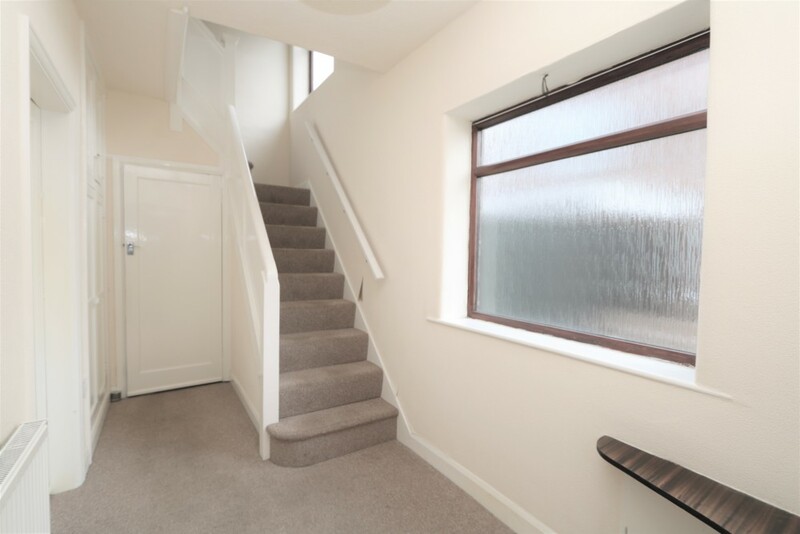 PORCH 8′ 9″ x 1′ 8″ (2.67m x 0.51m) Double glazed porch with ceramic tiled floor, hardwood door leads to the hallway. 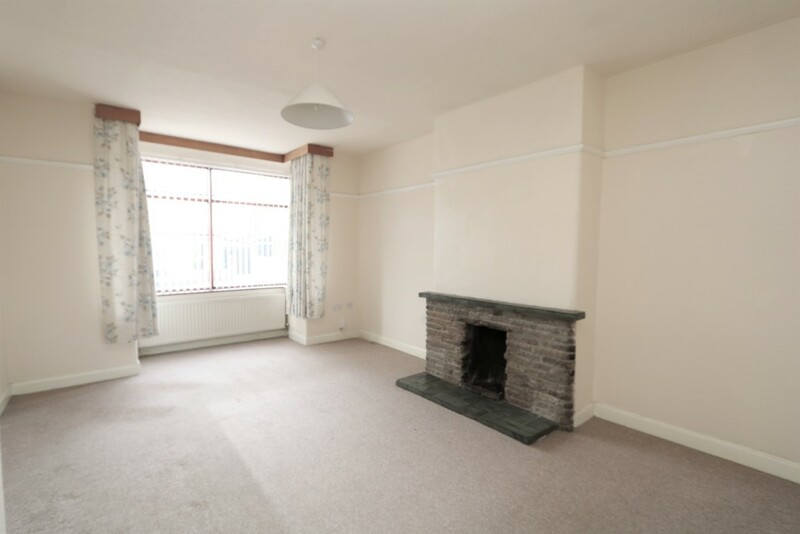 LOUNGE 15′ 4 plus bay” x 11′ 9″ (4.67m x 3.58m) Double glazed box bay window to the front radiator, mock stone fireplace with slate hearth and mantle, picture rail, door to the dining room. 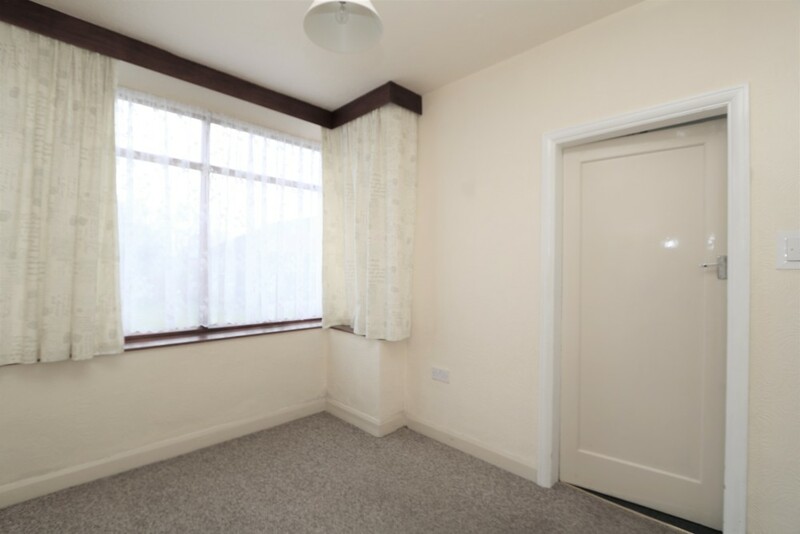 DINING ROOM 10′ 1″ x 7′ 9″ (3.07m x 2.36m) Radiator, double glazed window to the rear, door to the kitchen. KITCHEN 10′ 8 max” x 9′ 9″ (3.25m x 2.97m) Units to base and wall, roll edge work surfaces, wall mounted combination boiler approx 4 years old. 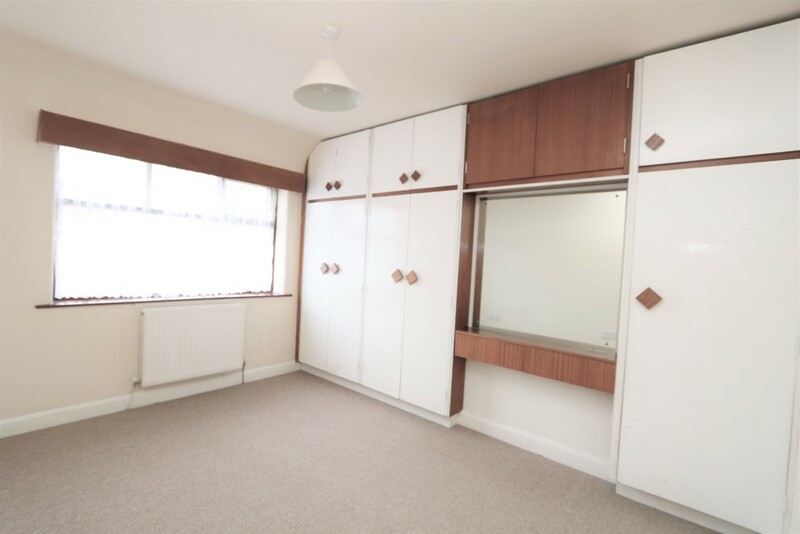 inset single drainer stainless steel sink with mixer tap, double glazed window to the rear, glazed hardwood door to the side driveway and rear garden, under stairs storage cupboard with window to the side, built in storage cupboards, door to the hallway. FIRST FLOOR LANDING Double glazed window to the side, loft access. 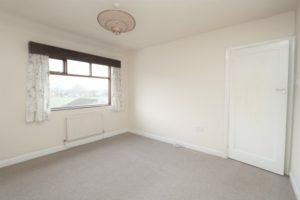 BEDROOM 1 12′ 1″ x 10′ 5″ (3.68m x 3.18m) Built in wardrobes, radiator, double glazed window to the front. 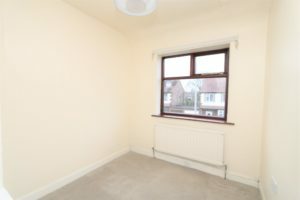 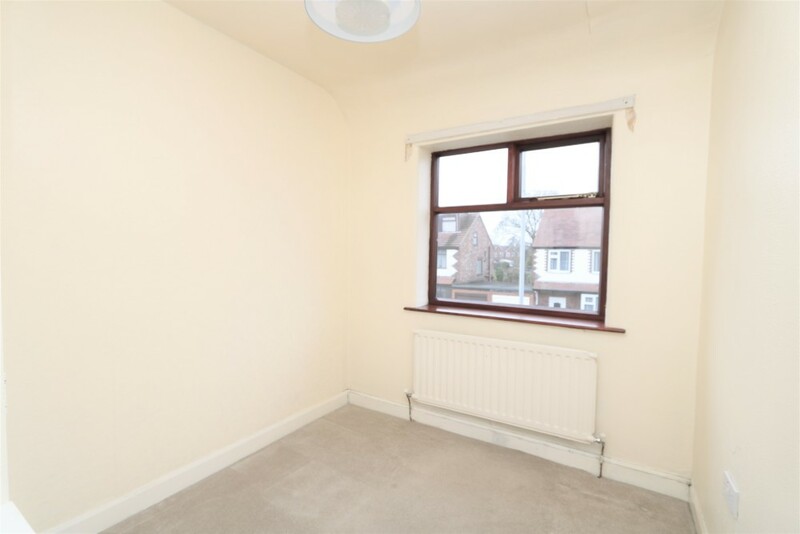 BEDROOM 2 11′ 8″ x 10′ 5″ (3.56m x 3.18m) Radiator, double glazed window to the rear. 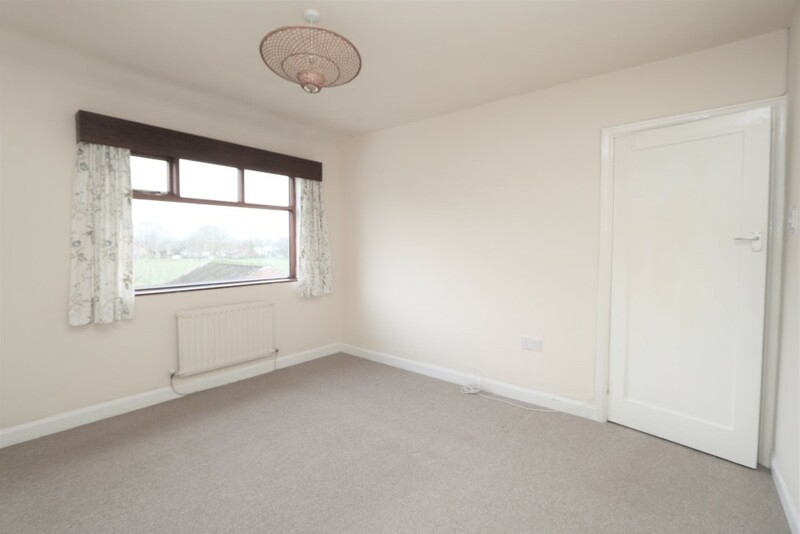 BEDROOM 3 9′ 3″ x 7′ 4″ (2.82m x 2.24m) Radiator, built in wardrobe, double glazed window to the front. 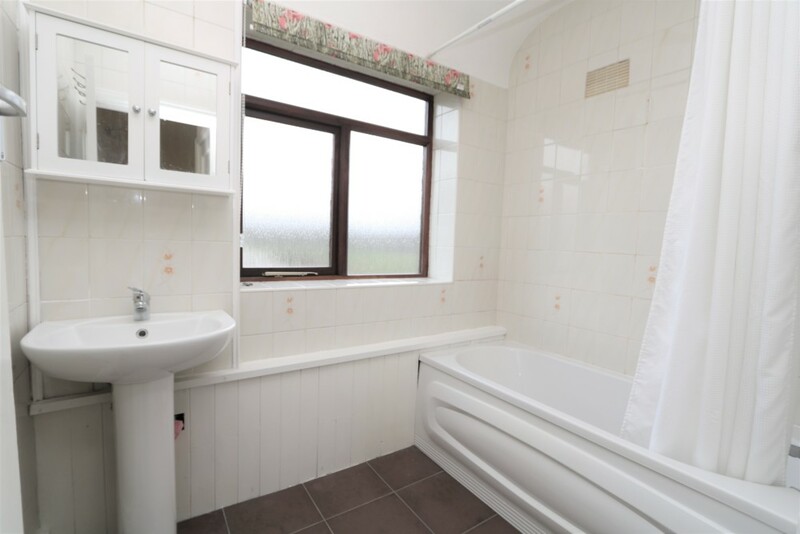 BATHROOM 7′ 3″ x 5′ 1″ (2.21m x 1.55m) Pedestal hand wash basin, ceramic tiled flooring, radiator, tiled walls, panelled bath with shower over, double glazed window the rear. 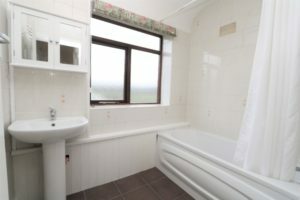 SEPARATE WC 4′ 6″ x 2′ 4″ (1.37m x 0.71m) Tiled walls, low level wc, double glazed window to the side. 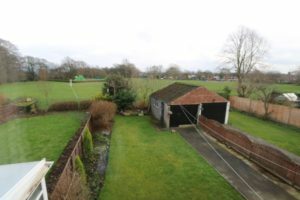 DETACHED GARAGE 14′ 8″ x 8′ 6″ (4.47m x 2.59m) A substantial brick built garage, timber entrance doors, door and window to the side. 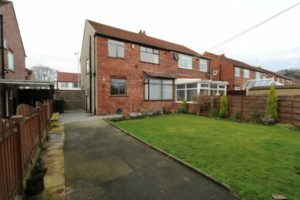 OUTSIDE To the front of the property there is a block driveway in grey, there is a small garden with a small gravelled area. The block drive extends along the side of the property to the rear, there is double timber gates allowing access to the driveway and detached garage. 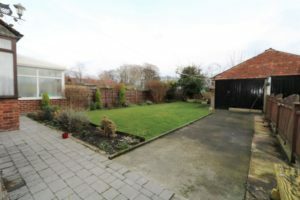 The rear garden is full enclosed, mainly load to lawn and has an open aspect and backs on to woodlands park.